Serious Delights Bakehouse > questions? > donations! 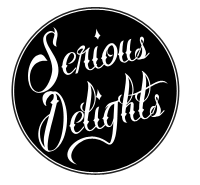 Serious Delights is a small, family owned business. We truly want to accept every donation request!! However, the large volume of requests we receive makes this impossible. Each donation will be individually considered, and we will let you know the decision as soon as possible, usually within one week of your request. Thank you for the opportunity to help, and for contacting Serious Delights! !